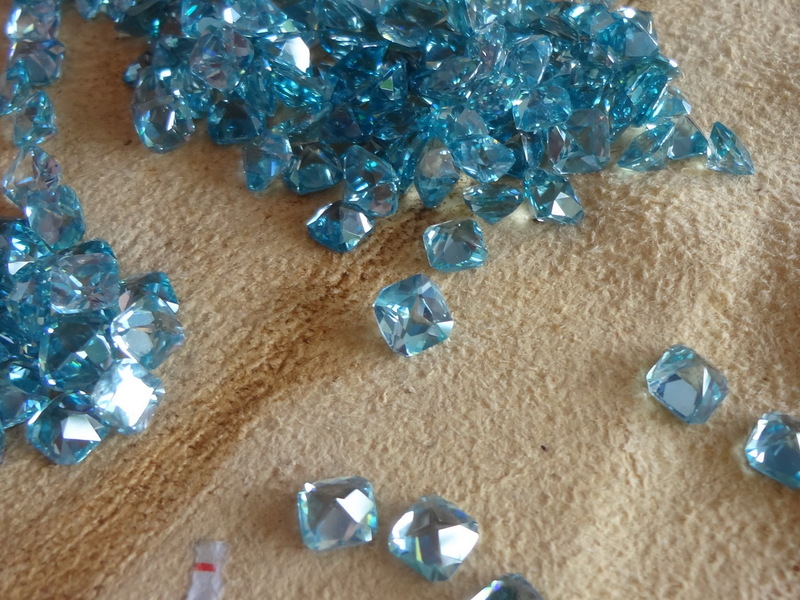 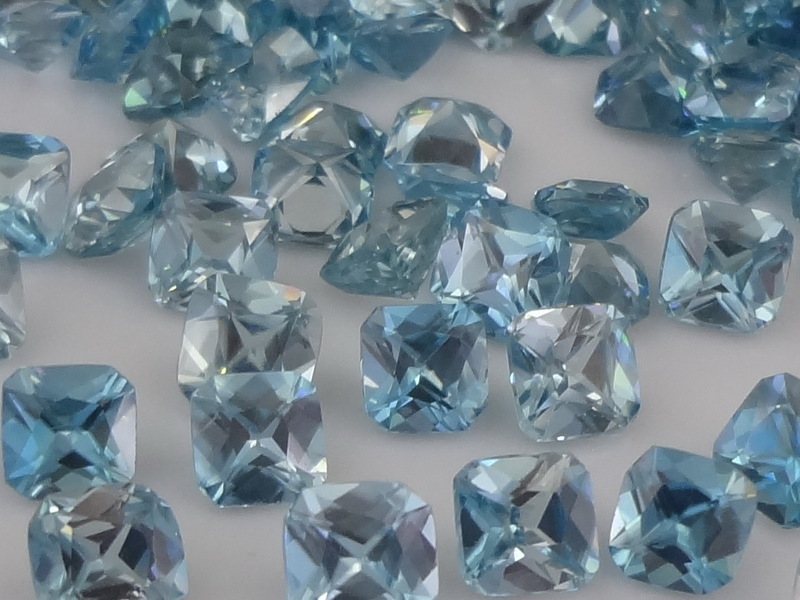 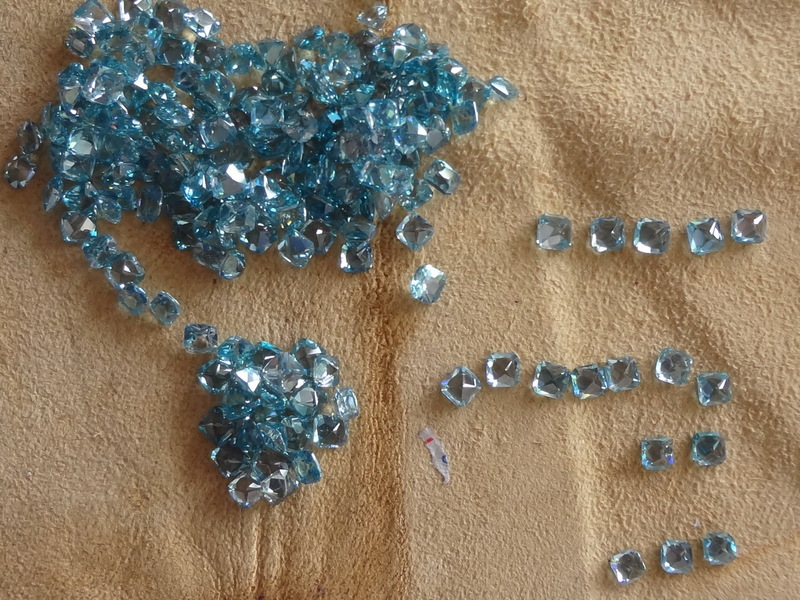 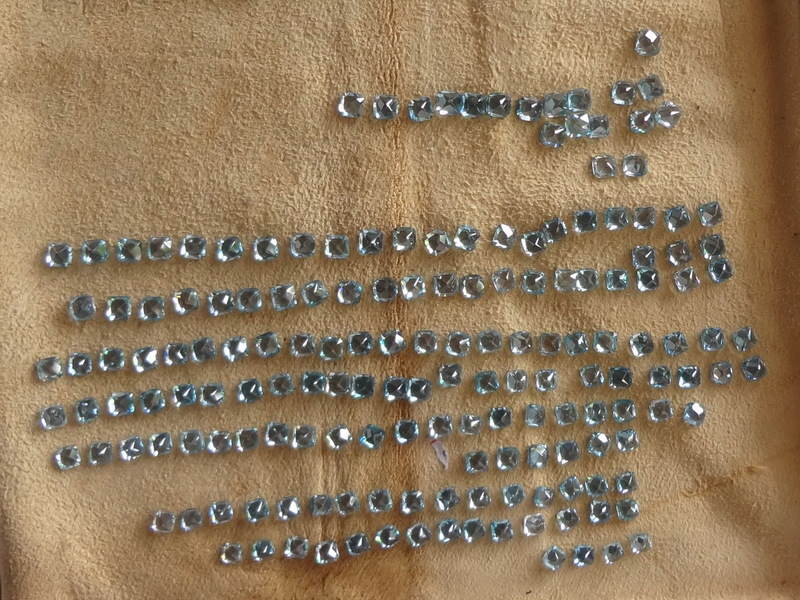 These are calibrated blue Zircon gems from Ratanakiri, calibrated every half mm from 4mm to 6mm, though there are less availability for the sizes below 5mm and over 6mm. 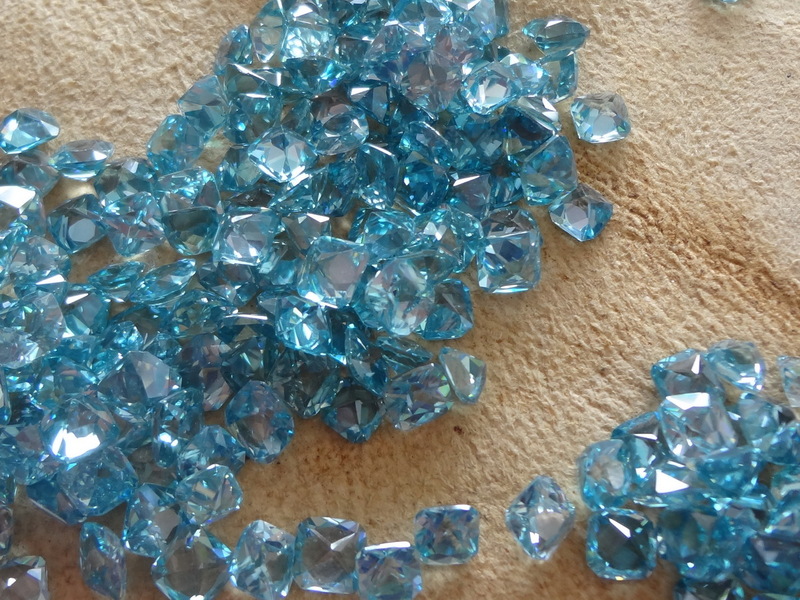 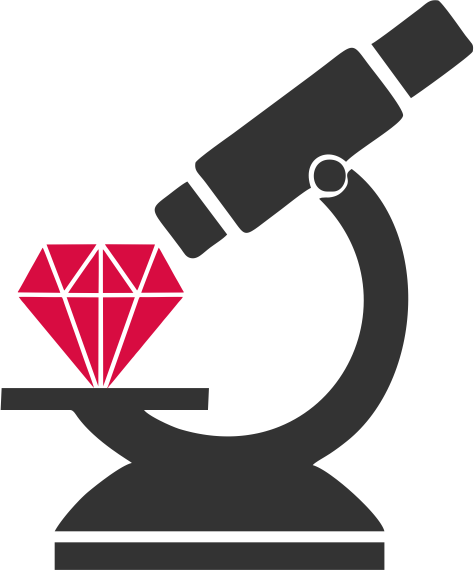 These zircon gems are cut in Cushion with 1 step pavilion. 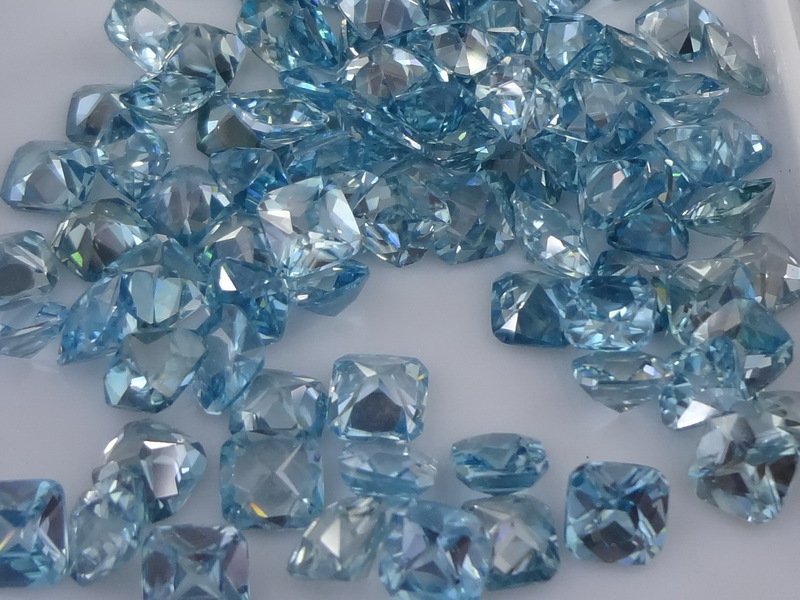 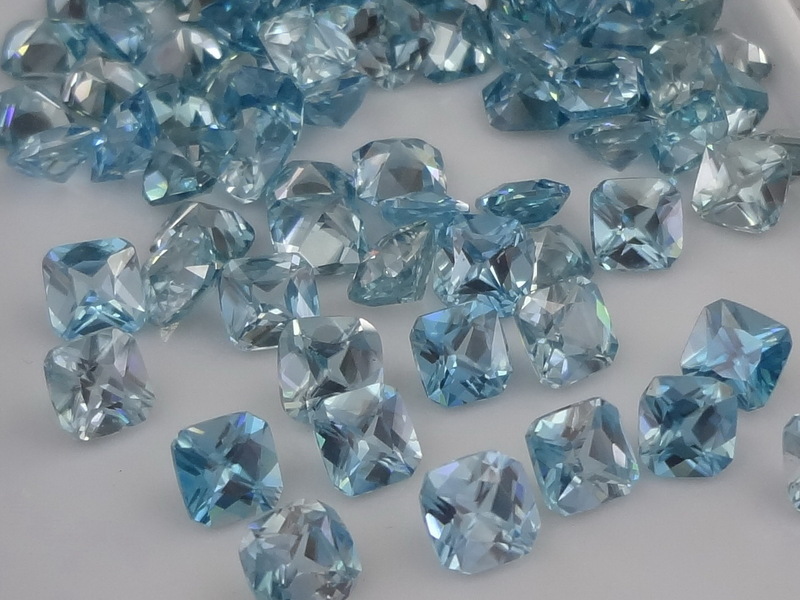 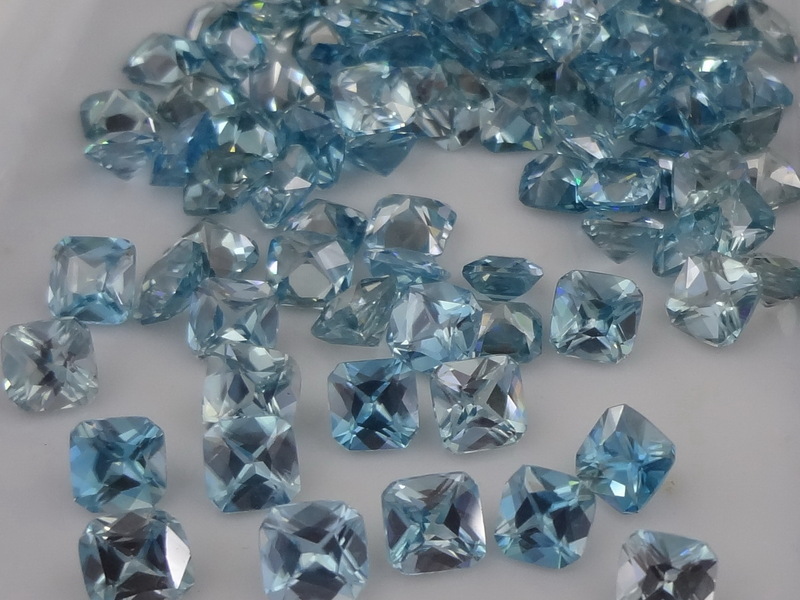 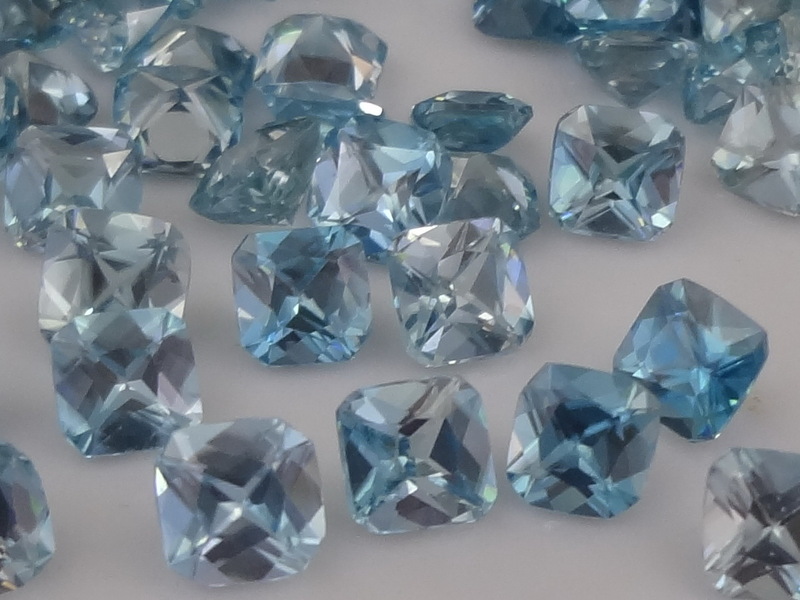 Colour is sky blue and not deep blue, prices are from 5$/ct to 15$/ct, please contact us before placing an order for these gemstones.